E-business is a popular type of business nowadays. It makes use of the Internet as it markets itself to the public. It makes use of telecommunication via the Internet. Using the Internet can be a form of communication either through email, video chats, and chats. Aside from that, when an e-business is selling a tangible product or service, customers also pay online most of the time. These are all parts of telecommunication. Every business needs superb customer service to grow or maintain good standing. Customer service in telecommunication includes call management systems that improve call handling. An example is when a customer calls a business but the lines are busy. The customer will be redirected to the person who has the right skills and who can address the concern of said customer. Back in the day, when an important person in a staff meeting was absent, the day was somewhat ruined unless someone would come up with a better solution. Today, not only staff meeting can be held even without members, other types of conferences and chats can also be done through conference calls and other types of chats. The members or participants who are absent can now join meetings because of telecommunication. Offering remote work for employees is one of the best things that an employer can do. Not only does this cut travel time to and from work for employees, but there is also a boost in productivity. 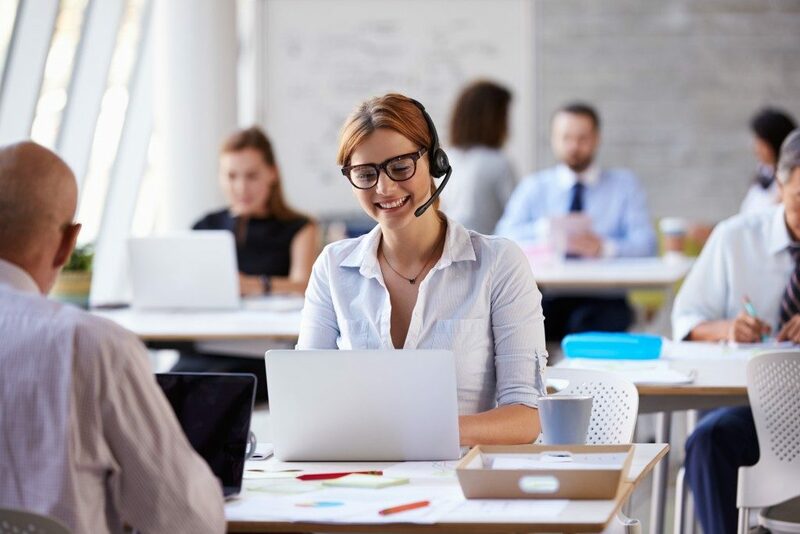 There is a boost in productivity because rather than traveling from customer to customer, the employees may instead call, email, or chat the customers regarding their products and services. Using telecommunication in businesses allow them to access more markets. For businesses who have websites, they can offer various products and services to their clients. A local business can reach a global market because of telecommunication. This can be done through the Internet, which is a kind of telecommunication. Smartphones are not only for personal use. They are also used for businesses. Smartphones can be used in data access, sending and receiving emails, creating and receiving documents, and more. These tasks are very important in businesses. A Cisco Visual Networking Index study indicates that applications, which are data-intensive, are integral parts of the growth in this field. How Important Is Telecommunication in Businesses? Telecommunication is very important. Many areas of businesses need telecommunication for them to prosper. Telecommunication plays a vital role in communicating with potential customers, existing customers, and all the people within a company.